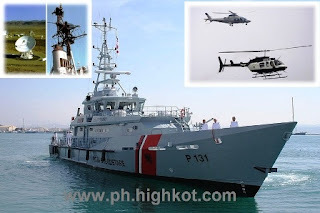 Minor and Major arms upgrade of the Philippines as listed; last quarter 2011 – 4 coastal radar stations, Smaller Navy Patrol Vessel, 6 Helicopters and modern military supplies and gadgets. Next semi Major upgrades in the first quarter 2011 – 2 Hamilton Class Navy Warship and be followed with 6 fighter jets trainer depending on the budget. 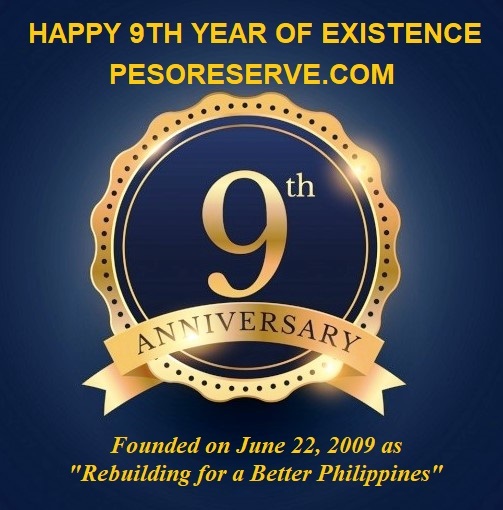 Written by Denis Somoso for the "All Voices" and "Rebuilding for the Better Philippines". Minor and Major Defense Weaponry upgrade in the Philippines is on the way! As announced this 2nd week of September 2011 by the Budget Secretary Florencio Abad, another minor upgrade for the Philippines Defense weaponry will happen before the end of the year 2011 or within this last quarter of the year. The ₱ 4.95 Billion pesos ($117 Million US Dollar) of royalties from the Malampaya Gas Field off Palawan would fund the minor military upgrade for the last quarter 2011. The Philippines will buy helicopters and build 4 radar stations to strengthen its defense of oil and gas assets located near an area of the West Philippines Sea (South China Sea) also claimed by China. The Malampaya Gas field that lies 80 kilometers (50 miles) off the coast of the southwestern Philippine island of Palawan, of the West Philippines Sea (South China Sea) which is also claimed by claimed by China including the Reed Bank nearby fields in the Philippines which supposed to be developed but now are in contested areas of the sea. The government will fund necessary capability requirements of the Armed Forces of the Philippines in its territorial defense operations, including providing a strong security perimeter for the Malampaya Natural Gas and Power Project. The $4.5 billion Malampaya project, estimated to hold 2.7 trillion cubic feet of natural gas and 65 million barrels of condensate, is operated by Shell Philippine Exploration, Chevron Philippines and state-owned PNOC Exploration Corporation. The Philippines, Vietnam, Malaysia, Brunei and Taiwan also have claims on the sea, which is a key shipping lane and rich fishing waters, and also sits on the 4th largest oil and gas deposits in the world. End of July 2011, President Benigno Aquino met the chinese President, Hu Jintao, in Beijing and the two agreed on the need for a binding code of conduct in the sea. Abad said the fund would allow the air force and navy to purchase six new search-and-rescues and patrol helicopters to guard Malampaya and other oil-and-gas exploration areas in the Reed Bank and Sulu Sea. The Philippines Air Force will develop a helicopter base on Palawan province, and the Navy will set up four coastal radar stations to monitor ship traffic and help prevent intrusions into the country's exclusive economic zones, Abad said. Washington, a long-time ally of the Philippines and wary of China's military build-up, has promised to provide secure communications and surveillance equipment to four coast watch stations that will track surface movements in disputed areas in the sea. About $10 Million US Dollars had been spent on a Hamilton-class navy frigate acquired from the United States in May 2011, the largest surface vessel in the navy's fleet. Manila may get two more Hamilton-class ships by early 2012. Department of National Defense will secure the new flashpoint in the West Philippines Sea (South China Sea) as the area is within the – Philippines territory 200 nautical Miles Exclusive Economic Zone with a key goal of protecting its largest Natural Gas Project of the Philippines against Chinese invasion. Other parts of the West Philippine Sea are claimed by Brunei, Malaysia, Taiwan and Vietnam, besides the Philippines and China, and the area has for decades been considered one of Asia's potential military flashpoints. Tensions spiked again this year after the Philippines and Vietnam said that China had become increasingly aggressive in staking its claims to the area, which is believed to hold vast deposits of oil and gas. The Philippines accused Chinese troops of firing Filipino fishermen in a few kilometer from the Palawan coast, laying buoys and markers in the Philippines' territory and harassing a Philippines oil exploration vessel. Though President Benigno Aquino and President Hu Jintao committed to solve the dispute peacefully when the Filipino leader visited Beijing last week of July 2011, but the Philippines has also insisted it will not back down against Chinese aggression. While the new spending announced on Wednesday (September 7, 2011) is miniscule compared with China's military budget, it is significant for the cash-strapped Philippine defense forces and comes on top of other upgrades this year. The Philippines last July 2011 took delivery of a US coast guard ship to be used to patrol waters within its 200-nautical-mile economic exclusion zone.